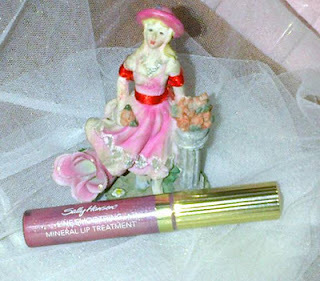 Today I am reviewing Sally Hansen Line Smoothing Mineral Lip Treatment which I purchased last year on my trip to US. It’s about to be over now so I don’t have the cover to share ingredients list and product description. Moisturizing, highly glossy but sticky. So people who don’t like sticky glosses stay away from it. I absolutely don’t mind sticky glosses. In my opinion they are very moisturizing and this is apt for me as I cannot stand dry lips even for a second. 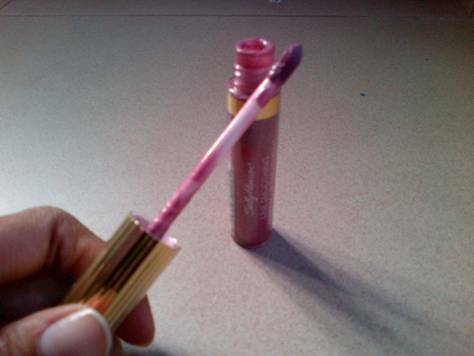 You don’t have to apply lip balm prior to the gloss. 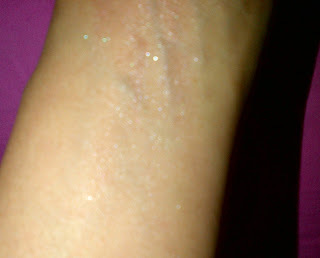 Be careful not to touch your glossed lips else you might end up leaving a trail of shimmer on every touch. The gloss effect lasts easily for 4-5 hours surviving snacks and drinks but not full meals. After 5th hour the color fades away leaving dry lips and shimmer on your lips. You can see the picture how it looks once it fades. 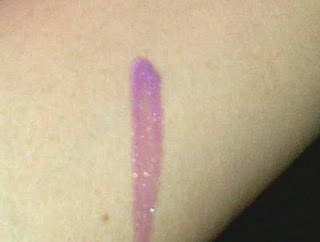 Applicator: Good enough doe applicator though I prefer the petal shaped applicator of Loreal Paris Glam Shine 6H Lip Gloss. It has refreshing peppermint flavor to it which is tasteless but gives a cooling sensation to lips as if you licked your lips after chewing a mint gum. Very mild peppermint fragrance due to the flavor it has. Purchased in US haven’t seen in India yet. Don’t remember the price but I just remember that I haven’t spent too many bucks on it. Final Note: A long lasting gloss and a pretty shade. Worth every penny and definitely a product to be in vanity case. Finally this is how it looks on my lips.